Smart Card Included. Velvet cover. Page Size 4.7"x6.7". 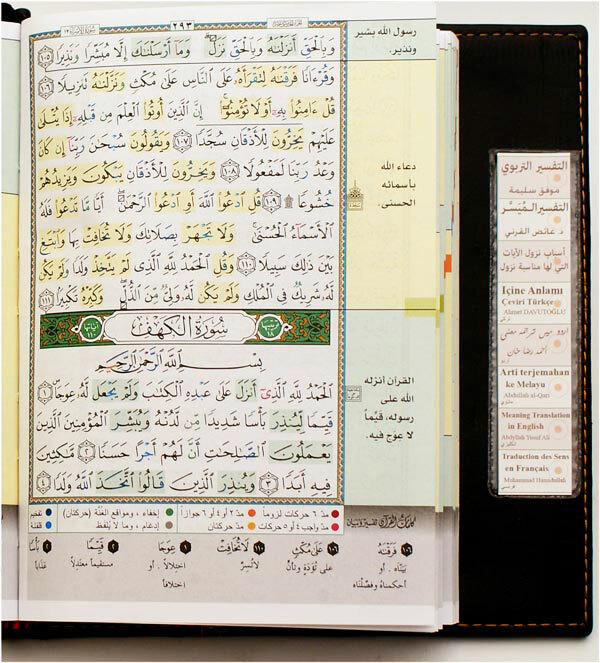 Memorization of the Quran is facilitated on the book by making the eyesight shares the mind in memorizing both the text and the subject in a very creative way.. On every page of this copy of the Tajweed Quran, subjects are distinguished by a different background color, and a brief overview of the subject added on the page margin. This helps in understanding the sequence of the Surah, and increases the awareness and the ability of linking the subjects to the texts for more enhanced memorization. 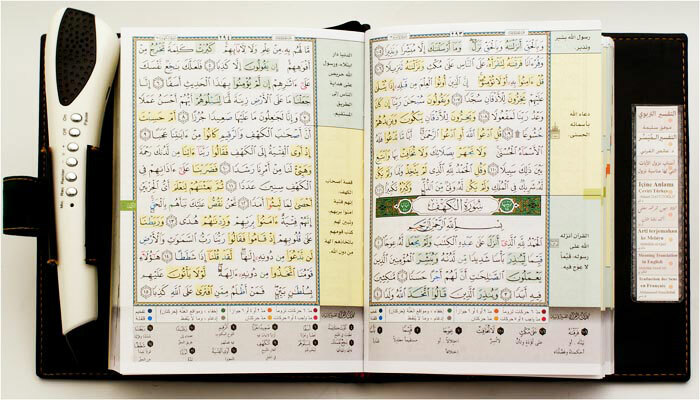 Read and listen to the Quran's verses with tajweed rules in Arabic. 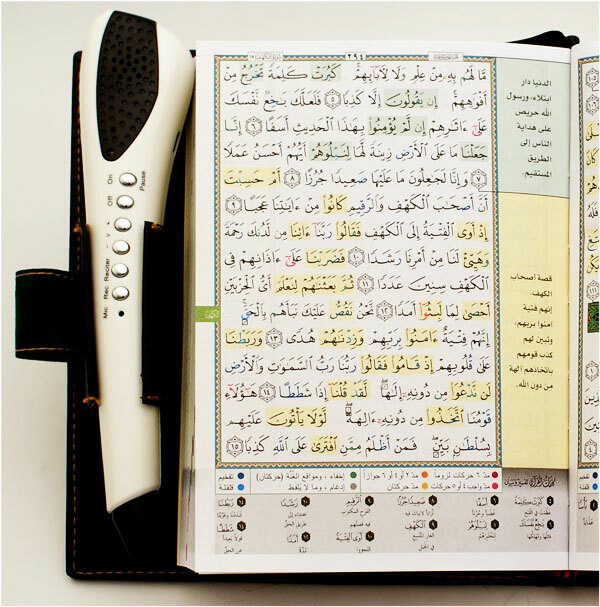 Listen to the verses' meanings translated into any of the following languages: English, French, Turkish, Malay and Urdu. Choose to listen to Quran recitation in the voice of seven of the world's most pupular reciters: Sudais, Ghamidi, Huthaify, Menshawi, and Husari. Choose to listen to famous reciters in the following narration (Rewayat): Hafs. 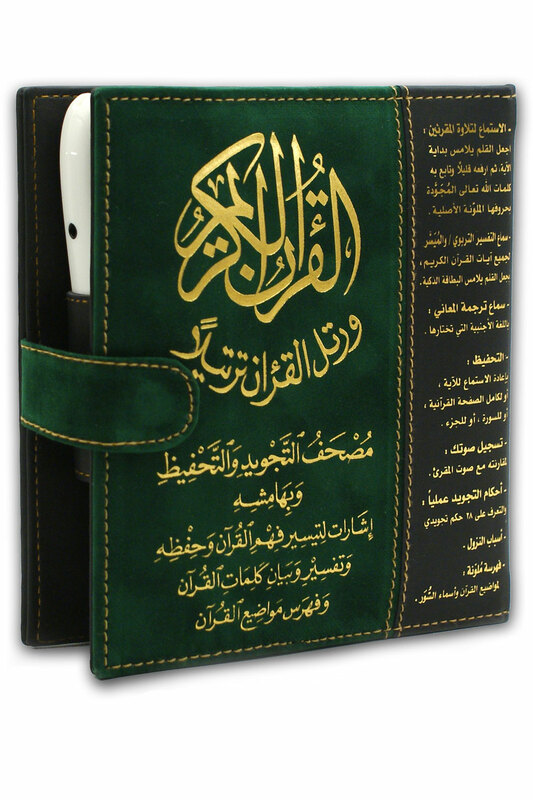 Great tool to learn and memorize Quran and tajweed rules by recording your own recitation, replay, compare and correct. Quran words explainations on the margins. Memorization is no more easier after I have this Read pen. the colored pages are really helpful in remembering and with Read pen I will not have mistakes because I will listen to the coreect way. Resonable price considering all the benifits this product offers. My daughter said it's the most wonderful gift she got for her birthday. My dad always wanted to memorize Quran but he was having difficulty in reading correctly and he has no time to go to a teacher, now he can do what he dreamed of and I will take the thawab too.